"We Trust in Open IT" started with the plan to simplify business integration and operational planning with IT and is especially eager to preserve flexibility and mobility without dependencies on proprietary software products for its customers. Our solutions are built on the work of many ambitious and experienced players from all over the world and based on the use of generic module and stick approaches in combination with our know-how are worth gold. We love what we do and have the necessary perfection to form your project a success story. Process optimization and flexible mapping of your business processes are our strengths, and subsequently your added value. WorkTrail allows you to keep track of your work in real time. Easily manage your projects and tasks, log your work and don't worry about interruptions or sudden task switches. Trend-Visions-Trading GmbH is a company based in Vienna and is specialized in trading and licensing Walt Disney & Co and is providing individual solutions for merchandising in order to get the goods sold in retail stores all over the country. They are following and identifying international trends and are always up-to-date about licensing products. They use Odoo to manage their daily business of trading goods with modules like CRM, Sales, Purchase, Inventory Management and Accounting. WOOM, the bike company that focuses all of its time and energy to design high quality and lightweight bikes for children of all ages. Cuuluu - House of Light is a lightning designer, reseller and exclusive distributor of modern lights. viennaresidence is a innovative company based in Vienna who is connecting premium appartments with their premium guests (currently in Vienna and Frankfurt). 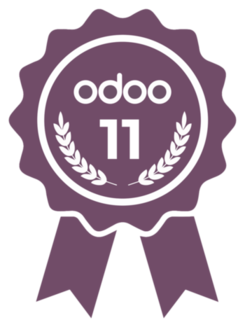 They use Odoo for making the mangement of their highly tailored website and online offer easier and therefore manage billing, helpdesk and other tasks more efficient than before. 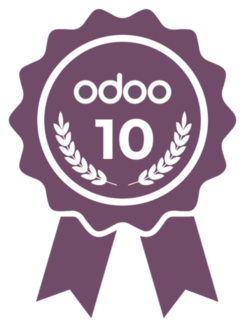 They have a passion for Open Source and appreciate the work already done by Odoo, partners and the community and plan to integrate more and more into their business processes over time. Design and Advertising company in Vienna which is working with different materials and technologies for their creative artwork in order to attract and convince agencies and customers. Laser technology is their main focus for making beautiful applications on a variety of materials. They use Odoo as a full erp system starting from CRM to Sales, Inventory management and Accounting.